Let me start this review off by saying that The Conjuring is only moderately scary. 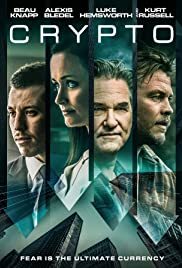 This film is expertly plotted (for the first half), well cast, and provides a few jolts here and there. It's an American horror yarn that takes place in the early 1970's. To make things even more authentic, it also feels like 70's film making in general. Director James Wan loves to show off with the camera by harboring a large amount of zoom ins and zoom outs (if I'm not mistaken, these are prevalent techniques used in the aforementioned decade). He seems to want to do this instead of actually frightening the audience. Heck, he even films a long tracking shot (ala Goodfellas) at the beginning. This is done as the terrorized family portrayed, is first moving in. So with all the fun that Wan is having with these shots, it still feels like he's holding back. In just under two hours, The Conjuring is mostly build up. And when the scares come, they just doesn't feel potent enough. But to be honest, that's not the only problem. This is an exercise that pretty much borrows from almost every horror movie ever made. It's basically The Exorcist meets The Amityville Horror (the houses from The Conjuring and "horror" are eerily similar) with tidbits from The Evil Dead, The Sixth Sense, The Changeling, and Paranormal Activity all thrown into the mix. Now most of what I've just mentioned is pretty scary stuff. It's just too bad that a movie based on a true story such as this one, has to be so darn unoriginal by copying everything that came before it (yes the events in The Conjuring take place circa 1971, but it still was released this year. Just wanted to make that clear). 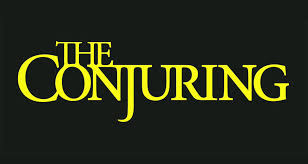 Set in a small town in Rhode Island and taking place in the fall season (fall is inclined to include heavy rainfall like so many horror flicks do), The Conjuring tells the story of the Perron family (five girls plus Ron Livingston as Roger Perron and Lili Taylor as Carolyn Perron) buying a farmhouse and encountering demonic forces in it that are beyond their control. They buy this place not knowing the history of it or its tantalizing structure (apparently unbeknownst to them, there is a cellar below, how original). After things go bump bump in the night (naturally), they call on a husband and wife team of paranormal investigators (Patrick Wilson as Ed Warren and Vera Farmiga as Lorraine Warren) to drive out from Connecticut and rid the dwelling of all things supernatural. With all the painful familiarity going on, the best scene for me however, happens when this happily married, ghost hunting couple enters the house, scopes everything out, and delivers the bad news about what's going on. This all happens toward the middle section of the running time and I figured things could maybe go uphill from here. Unfortunately I was wrong. In the past I've recommended recycled movies of all genres. With this one, I finally had to break the streak. You don't have to take my word for it, but if you plan on viewing The Conjuring, just know that it almost loses its way in the second half. I'm not sure why, but this picture actually adds a comedic element with all the chaos that's going on (it's in the form of a police officer who tags along and looks completely out of place). It's totally unnecessary. To be honest, I thought this vehicle was supposed to be terrifying. I guess I was wrong. Truth be told, there's no need for some goofy side character (a sort of deadpan version of Deputy Dewey for Scream) taking part in the happenings at the Perron house. Added to that awkwardness, there's also sort of a level of contradiction that occupies the haunted family that was just mentioned. For instance, when the investigators sit the heads of the Perron household down and tell them that they can't escape the evil entity trying to possess them (basically they say that no one can leave the house), cut to a half hour later and the whole family being hunted, is told to go to a hotel. Furthermore, I was curious about a lot of the happenings that went on in particular, that weren't fully explained. I mean why did random species of birds run into the wall of the house (breaking their necks I might add) and what's up with Carolyn Perron's voice not being heard on the tape recorder (during the initial interviews)? She's not a dead person so it doesn't make a lot of sense, or does it. Aw heck, if you're gonna pull the audience in, at least let them know what they're supposed to be frightened about. All in all, if you've never seen the countless films this bad boy imitates, The Conjuring might scare the living daylights out of you. If this flick somehow affects you, there's a chance you might be frightened by laying on a bed, opening a closet door, clapping twice, or looking in a mirror. But if you've been around the block like I have when it comes to scary movies, you probably will consider it disposable to the nth degree. As familiar as an old shoe and as tired as your average college student pulling an all nighter, this take on old fashioned horror fare, is nothing to "conjure" about.